Leaders in the field of information literacy, Esther S. Grassian and Joan R. Kaplowitz have revised, expanded, and updated their comprehensive guide to the theory and practice of library instruction. 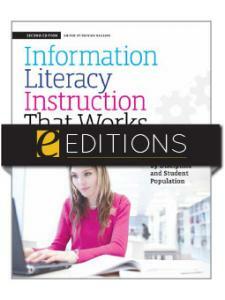 This second edition covers all aspects and modes of information literacy instruction, including history and psychology, as well as how to create and design teaching materials, how to use new technology to support pedagogy, and how to utilize new developments in the field since the publication of the previous edition. The recommended readings and exercises at the end of each chapter help put ideas and concepts into practice. The companion CD-ROM includes institutional and library mission statements related to information literacy, a table listing pros and cons of assessment tools, a brief overview of learning styles table, examples of minimalist documentation, a sample PowerPoint slide show, a sample class outline, a two-minute yoga exercise, suggestions for further reading and the complete book bibliography, both with live links to web pages. "I found this title exciting, interesting and very relevant to the current web-based climate. If you are looking for ways to promote your library, then consider creating promotional videos - but first read this book." "Grassian and Kaplowitz have written a comprehensive text that outlines the underlying hypotheses of information literacy, their uses, and their theoretical bases…an amazing book that should be in all professional collections and at all library school libraries. If you have the first edition, you should definitely replace it with this one." " .. .this book ... is a work of considerable scholarship and the skill and cage that the authors have employed in creating it are always apparent." 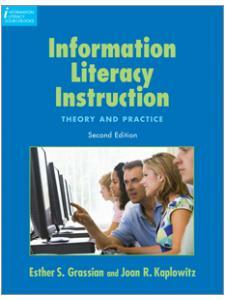 " This marvelous book is absolutely foundational for, as the subtitle says, the theory and practice of information literacy instruction (ILI). The authors have deep experience in all facets of ILI, have written and presented widely, and have stayed abreast of research on all aspects of the topic since the first landmark edition of this title (2001)...Very highly recommended to all academic and public libraries." 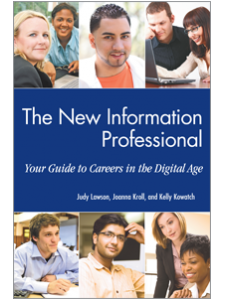 "Grassian and Kaplowitz have once again published a solid, thorough manual that will serve many groups of information literacy practitioners ... the new edition of Information Literacy Instruction will be a welcome addition to the professional reading shelf of any practicing instruction librarian. As was one of its intents, it will also serve as a great textbook for library school graduate students studying information literacy instruction." "If one were teaching a course to beginning library media specialists, this title would be the perfect textbook." "This is a valuable addition to any academic library providing information literacy instruction in today's technology-enriched age." "The most comprehensive and detailed look at information literacy, from historical to classroom contexts, available ... .A CD of support materials, including a searchable index and bibliography with active website links, along with sample exercises to illustrate chapter highlights, adds to the practicality of this title." 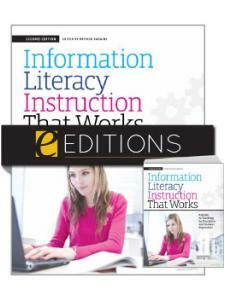 "Although intended for librarians teaching information literacy, or locating and using information in various formats and evaluating its quality and worthiness, classroom educators will find this comprehensive text equally valuable for planning, teaching, and assessment. ... with its significantly beneficial content, the CD containing supplemental material and chapter links, an extensive bibliography, and author information, it remains a worthy purchase." "A timely, thorough, and endlessly useful must-have title for libraries, teaching librarians, and library schools."